Delicately crafted and filled with the floral elegance of the magnolia flower, these pretty earring studs will be the perfect accessories for any occasion. Available online or in-store. 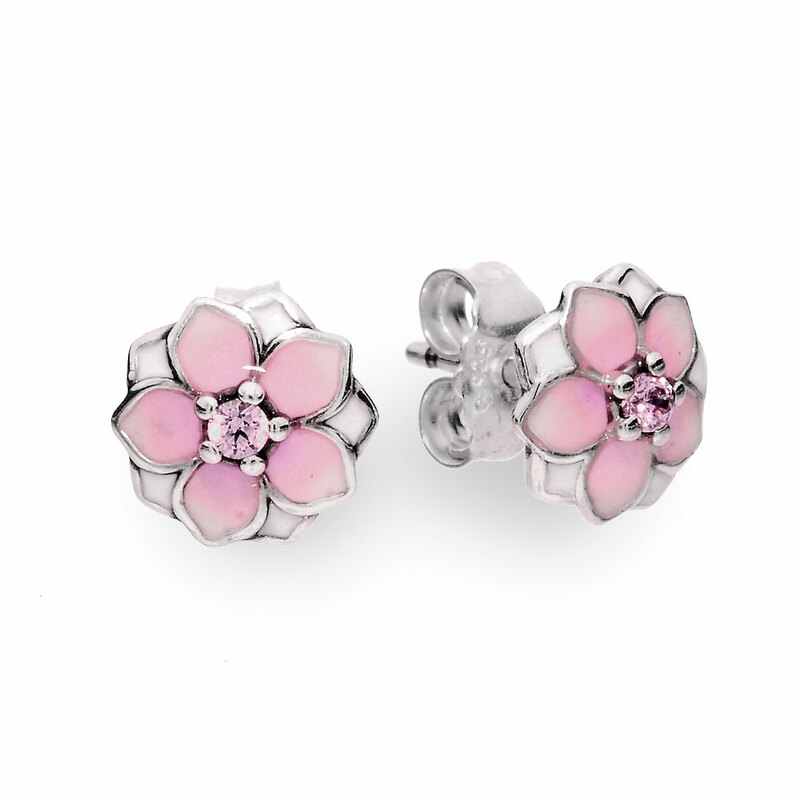 Magnolia Bloom Earring Studs is rated 4.3 out of 5 by 18. Rated 5 out of 5 by Sunshine2017 from My earrings review I love these earrings. They are my favorite to wear with all of my outfits. I get complements all the time. My reason for buying another pair was because I lost one just recently. Rated 4 out of 5 by Murph1 from Beautiful earrings! Classy and elegant, typical of Pandora. I do wish they would change the packaging from a cloth bag to a box for the earrings. Rated 5 out of 5 by vicki3435 from Super Cute! I bought the matching ring and the set is so cute. Love it! Rated 5 out of 5 by brenda sonia from EFFICIENT I bought these earrings on the USA site. It was for my sister's birthday who lives in Florida. It was carried out very efficiently with no problems at all! Rated 5 out of 5 by Jiimbo from Love them! My bf gave them me as a gift. They are so comfy, perfect size, and soo cute. They stay in its place and look gorgeous. I really love them until now! Rated 5 out of 5 by cleo2005 from Beautiful details! I bought these earrings for my 11 yr old niece and she loves them! Rated 5 out of 5 by Damien88 from They are absolutely wonderful I bought these for my girlfriend and she loves and won’t stop wearing them. Although I was not impressed by The shipping time, I had paid for two day shipping and they came in almost a week later.